An alternative to the conventional business model of modern dentistry has existed for many years and was documented by the highly respected dental researcher, Weston A. Price DDS, during the 1930s. 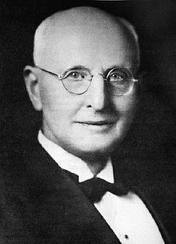 He learned how to cure tooth decay with food and used this knowledge to stop cavities at his Cleveland Clinic. This film will re-create his success reversing children’s active cavities using food instead of expensive dental surgery. The film will also highlight another benefit of this diet discovered by Dr. Price – increased learning capacity of the children who participated in his study. Many people today who are concerned about the costs of dental care should be fascinated with Dr. Price’s work as will parents who are interested to insure their children are given the best foundation for mental acuity. Few people (including dentists) know that food, properly cultivated and prepared, can actually prevent and cure tooth decay. This information was discovered, documented and demonstrated by Dr. Weston A. Price during the 1930s and 40s. Dr. Price, a highly respected dental researcher was curious about stories he heard regarding reports of the perfect teeth possessed by “primitive” people who had no access to dental care or for that matter even practiced modern dental hygiene. Then as now, dental cavities affected a large portion of the American population so he wanted to confirm the reports he heard and determine what was preventing cavities from developing in these various groups. Dr. Price and his wife traveled around the world to examine and study these indigenous, isolated people. Their first stop was the Loetschental Valley in the Switzerland Alps which had no roads; the people there ate locally produced food, sea salt was the only outside food brought in. Dr. Price’s observation was consistent among all the isolated groups he visited from the inhabitants of Switzerland’s Loetschental Valley to the Australian Aboriginals, Eskimos, Native American Indians, African tribes and South Pacific Polynesians. All exhibited excellent overall health with little or no tooth decay, no mental illness or jails, no diabetes, heart disease or cancer. In fact, some of these cultures didn’t even have a word for cancer. Additionally, all these people had wide, symmetrical faces with perfectly formed dental arches (no tooth crowding) that allowed enough room for wisdom teeth. Another consistency he noted was the use and reverence of animal products both raw and cooked and the utilization of fermentation for grains, dairy and vegetable preparation. He collected samples of the foods and sent them back to the US for analysis and discovered that there was four times more available minerals and up to ten times more available fat soluble vitamins such as A, D and K.
Dr. Price documented his tour of these groups with many photographs and published his research in the book “Nutrition and Physical Degeneration.” The photographs show the dramatic physical differences between those who stayed on traditional diets opposed to those who adopted the industrial Western diet. 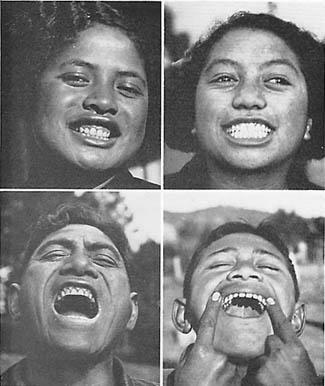 When some people of these groups started to eat industrialized or “Western foods” such as white flour, sugar and canned vegetables, they were subject to tooth decay and began to lose their teeth and vitality. 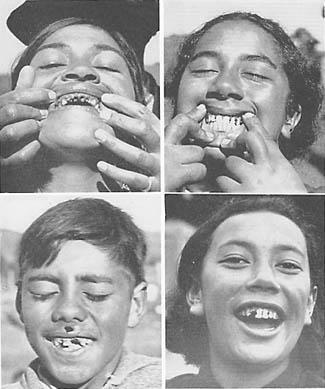 The children born to parents who abandoned their traditional diets for the modern Western diet exhibited incomplete bone development resulting in crowded and crooked teeth along with increased tooth decay and reduced physical health. Dr. Price’s book highlights the data he collected, provides his conclusions regarding the real cause for dental cavities, and offers solutions which mimic the mineral and vitamin rich diets of those cultures exhibiting the most robust health and fewest cavities. When he returned to his Cleveland clinic he applied his knowledge to create a “nutrient dense” diet for various individuals who suffered from tooth decay and demonstrated remarkable results to arrest or reverse dental decay. 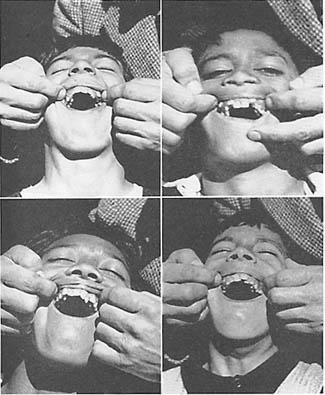 One of the more dramatic studies he initiated was to select a group of underprivileged children with active cavities and then feed them specially designed lunches which would increase their intake of fat soluble vitamins and minerals. Even though he was limited to providing this single meal, he was still able to stop cavity development within several months without any drilling. Additionally, he was contacted by these children’s teachers who were curious what he was doing because they claimed the children’s ability to learn had increased substantially. Unfortunately, Dr. Price’s work exists in relative obscurity however interest has been rekindled by nutritionists and groups such as the Price Pottenger Nutritional Foundation and the Weston A. Price Foundation. The condition of teeth reflects the condition of physical health; a properly nourished body will perform optimally and deliver the highest mental acuity. This film will re-create Dr. Price’s children cavity experiment and document it on film. It will provide the background to Dr. Price’s conclusion regarding the cause and cure for tooth decay and stress the importance of providing adequate minerals and fat soluble vitamins to growing children. In addition to exploring the reduction of cavities, the film would also test the children’s learning ability via reading comprehension or some other form of testing before starting on the diet and after being on the diet for several months. The initial and on-going dental examinations to be conducted by a licensed Dentist or certified dental school. I would plan to enlist a private school dedicated to educational excellence and mental clarity to provide the students for the study. Several experts have been selected to provide the background for the project including Ramiel Nagel who wrote a book called “Cure Tooth Decay” where he describes the diet he used to reverse his young daughter’s tooth decay, Sally Fallon who is the current President of the “Weston A. Price Foundation” and the author of “Nourishing Traditions," and Chris Masterjohn, PhD specializing in Vitamin A research. I have always had an interest in nutrition and an intuitive sense of the human body’s ability to perform optimally and heal itself if provided the correct fuel and environment. This innate knowledge was confirmed during my tenure as the Executive Director of the American Academy of Environmental Medicine where I learned about the importance of a properly functioning immune system. This knowledge was deepened when I undertook the commercialization of a biological inoculant for the cultivation of nutrient dense crops. The real green revolution in crop cultivation is more dependent on soil biological systems and mineralization than synthetic chemical fertilizers and toxic pesticides. Crops cultivated in a natural manner will deliver robust nutrition to both animals and humans that will allow for proper organism regeneration while also preserving our environment for future generations. I personally believe most disease is a manifestation of organism nutritional deficiencies.